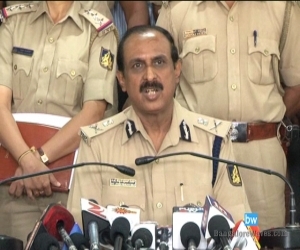 Posted on : Mon, 24-12-2012 India Pakistan cricket match will be held at Chinnaswamy Stadium Bangalore on Tuesday,Dec25. Pakistan team had practice session on Monday,Dec 24. 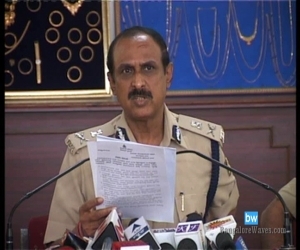 Posted on : Sat, 22-12-2012 Bangalore Police Commissioner Jyothi Prakash Mirji briefed the media about the security arrangements made for Indo Pak cricket match to be held on Dec.25th. 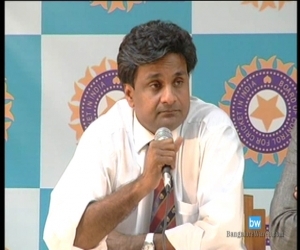 Posted on : Fri, 22-02-2013 Former Sri Lankan captain Sanath Jayasuria said it is better if Sri Lankan junior players are kept away from IPL. Posted on : Fri, 21-12-2012 Ticket was issued on Friday,Dec.21, for Indo-Pak match to be held on Dec.25. 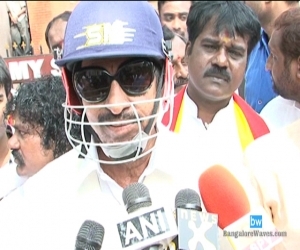 Posted on : Tue, 18-12-2012 Vatal Nagaraj on Tuesday staged a protest against the opposition for India-Pakistan Cricket Match by various organizations and declared that he supports the match and Pakistanis are welcome to play here. 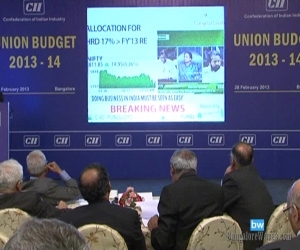 Posted on : Thu, 17-01-2013 Indo German Chamber of Commerce Announces Football Tournament. 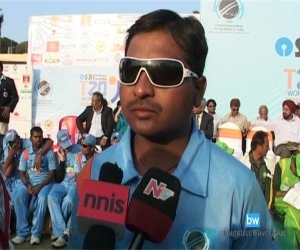 Posted on : Thu, 13-12-2012 India team has won the Blind Cricket T20 World Cup. India faced Pakistan in Final. 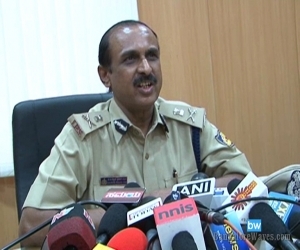 Posted on : Thu, 13-12-2012 Security arrangements are going on for India Pak T20 Match to be taken place on Dec.25th in Bangalore, said police commissioner Jyothi Prakash Mirji. Posted on : Wed, 12-12-2012 Tickets can be booked online for India Pak match that going to be held at Bangalore. 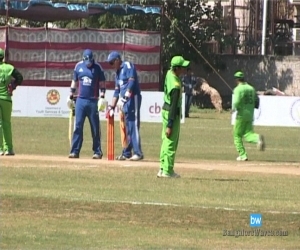 Posted on : Wed, 12-12-2012 Blind Cricket T20 World Cua has reached its final. India and Pakistan will play final on Thursday. Posted on : Sat, 08-12-2012 Zeeshan Abbasi, a visually impared Pakistani cricket player drunk diluted phenyl kept in a plastic bottel on the table on Saturday,Dec.8th. 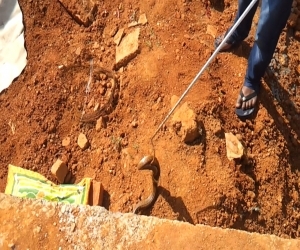 Posted on : Mon, 03-12-2012 ಬೆಂಗಳೂರಿನ ಚಿನ್ನಸ್ವಾಮಿ ಕ್ರೀಡಾಂಗಣದಲ್ಲಿ ಡಿ.25 ರಂದು ನಡೆಸಲು ಉದ್ದೇಶಿಸಿರುವ ಭಾರತ ಪಾಕ್ ಕ್ರಿಕೇಟ್ ಪಂದ್ಯಕ್ಕೆ ಮುತಾಲಿಕ್ ವಿರೋಧ ವ್ಯಕ್ತಪಡಿಸಿದ್ದಾರೆ.